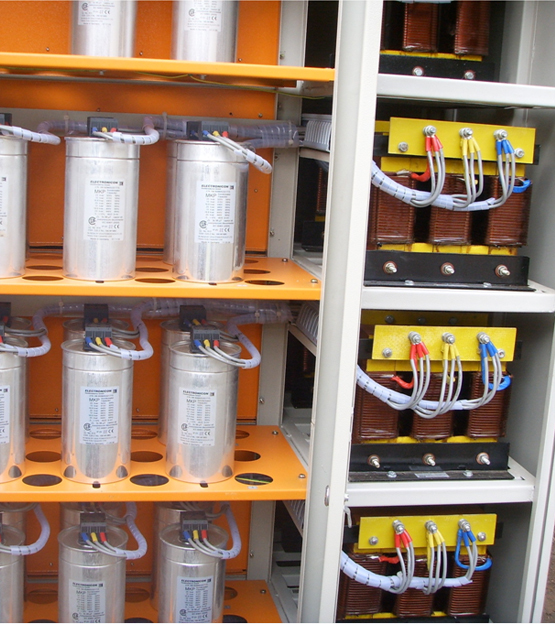 A capacitive reactive power resulting from the connection of a correctly sized capacitor can compensate for the inductive reactive power required by the electrical load. This ensures a reduction in the reactive power drawn from the supply and is called Power Factor Correction. VISAPOWER AUTOMATIC POWER FACTOR CONTROL PANELS for low transient switching. The range of APFC Panels incorporate high levels of standardisation and are the result of years of our experience in design and engineering of Capacitor Systems for PF Improvement. 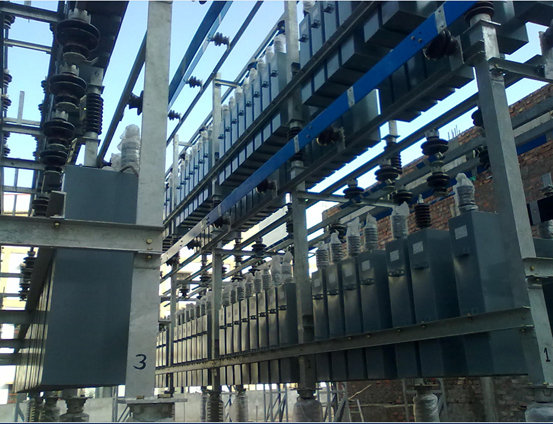 We offer complete solutions for Reactive Power Compensation Systems up to 132 KV and APFC Panels upto 11 KV System Voltages. VISAPOWER REAL TIME POWER FACTOR CONTROL PANELS for transient free dynamic switching. When the loads vary rapidly , the Contactor Switching solutions for PF Improvement may not be suitable due to the inherent condition of the need for capacitors to discharge prior to switching back into circuit. This gives a limitation of switching capacitors once every minute and unsuitable for rapidly varying loads. We offer Real-Time Transient Free Switching Power Factor Correction Panels upto 440V System Voltage. We offer the complete range of Detuned, Partially Tuned and Tuned Systems for Harmonic suppression and control. RTPFC-Q : Real-Time Transient Free Partial & Tuned Harmonic Control Systems upto 440V We offer Real-Time Transient Free Switching Power Factor Correction Panels upto 440V System Voltage. Various large industrial loads like motors, furnaces etc. 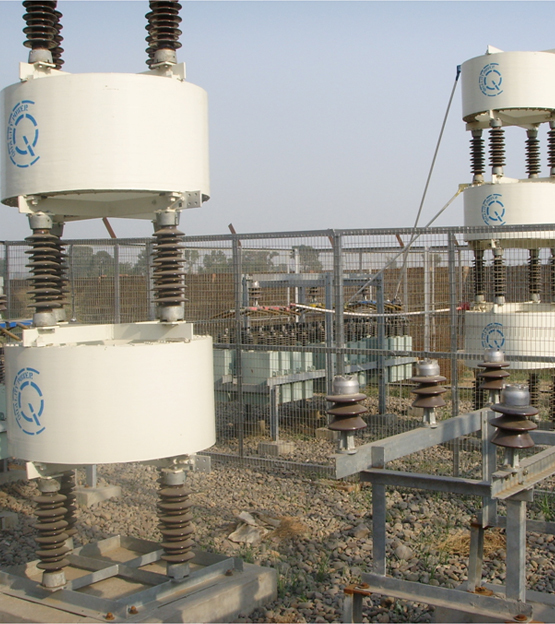 are installed at medium voltage levels, which makes it imperative to install the PF improvement/correction equipment for these equipment at like voltages such that the reactive currents drawn by such equipment are compensated at load points directly. 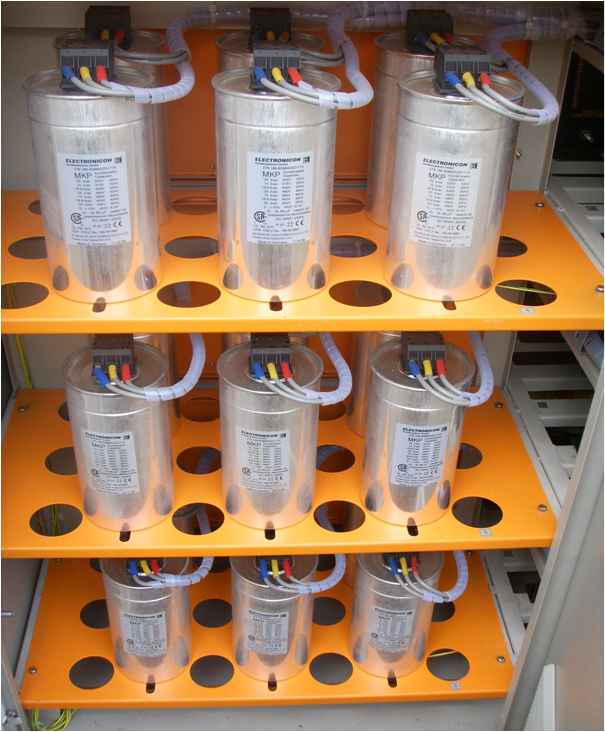 We offer Total Reactive Power Compensation Systems complete with design, drawing and detailing,manufacture and supply of complete capacitor bank systems with the necessary associated equipment.